Hey Friend! 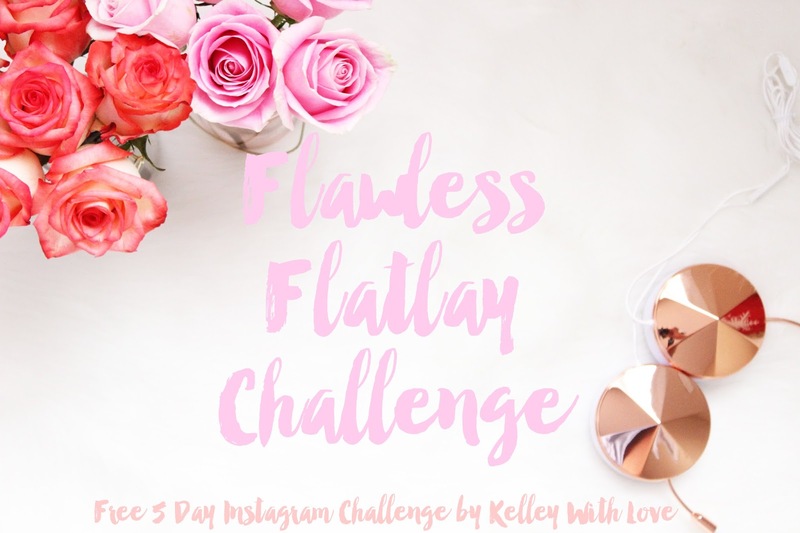 I am so excited to finally announce the Kelley With Love Flawless Flatlay Challenge! The challenge will take place on Instagram from February 1, 2016 - February 5, 2016. This challenge is near and dear to my heart because I know how important it is to have an Instagram feed that stands out and that you feel good about. That's why I want to help you create one! If you want to get a head start to begin preparing for the challenge and practicing your flatlays, which I highly recommend, sign up now to get the full Flawless Flatlay Challenge Guide. Once the challenge begins, prompts will be shared daily on Instagram. I will be providing tips & tricks & answering questions about the challenge the week before the challenge on Snap Chat. By signing up early you also get access to that pre challenge SnapChat schedule. I cannot wait to do this challenge with you! Oh, and because I truly absolutely adore you, when you sign up you also get 5 free stock photos! 2. Share with a friend! The more people that participate, the more people you have to engage with and the more your community grows! I love seeing challenges like this that can help creatives. I'm totally signing up! Here from RTS, happy Wednesday!